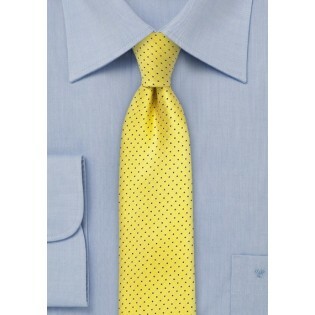 Accessorize your menswear basics with this charming and dapper Designer Skinny Pin Dot Tie in Navy and Yellow. This ultra hip accessory is perfectly crafted and designed to mix and match with all of your favorite suits and blazers. This designer accessory is a signature piece from the Blackbird Summer Collection and is handmade from a highly durable microfiber. 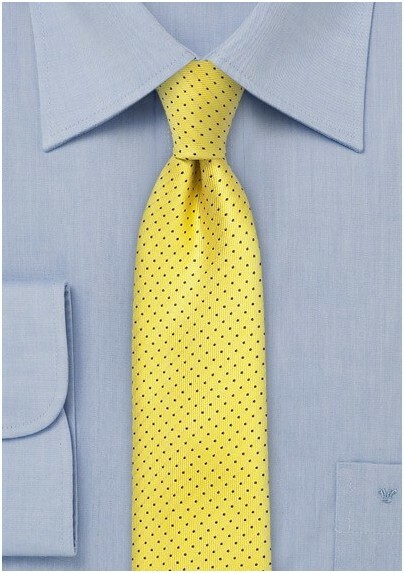 We recommend pairing this tie with its coordinating men's pocket square.